Oil and Gas Faces Headwinds Again (Long Flights to TX). Restructuring in the oil and gas space has been quiet of late but we here at PETITION suspect that may change very soon. While oil has been on the rise (in the mid-60s at the time of this writing) — and there are both potential political and supply-side roadblocks growing domestically that may help push prices upward — there nevertheless appear to be cracks forming. 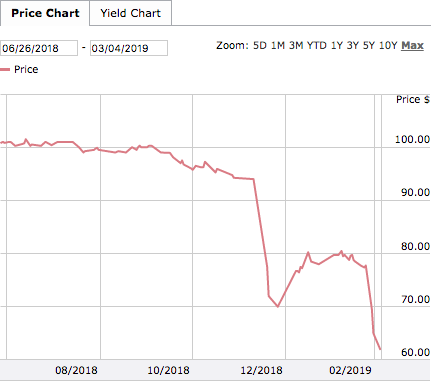 We’ve already noted that Jones Energy ($JONE), Sanchez Energy Corporation ($SN), Southcross Energy Partners LP ($SXEE), and Vanguard Natural Resources all look distressed and headed towards chapter 11 bankruptcy filings (or a chapter 22 filing, as the case may be with Vanguard). Recent price action for several other companies also reflects some doubt about the oil and gas space. Now, we’re not saying either of these companies are filing for BK next week. But, we are saying they are, at a minimum, ripe for some advising. In other words: banks have finally gotten smarter and no longer defer to wildcats as much as they used to. It’s amazing what dozens of bankruptcies and billions of lost dollars over a commodity downturn will do isn’t it? Anyway, without capital and with an expensive production focus, the company struggled in the face of a glut of competition. The company has a transaction support agreement pursuant to which it intends to sell its assets to multiple purchasers and then pursue a plan of liquidation. 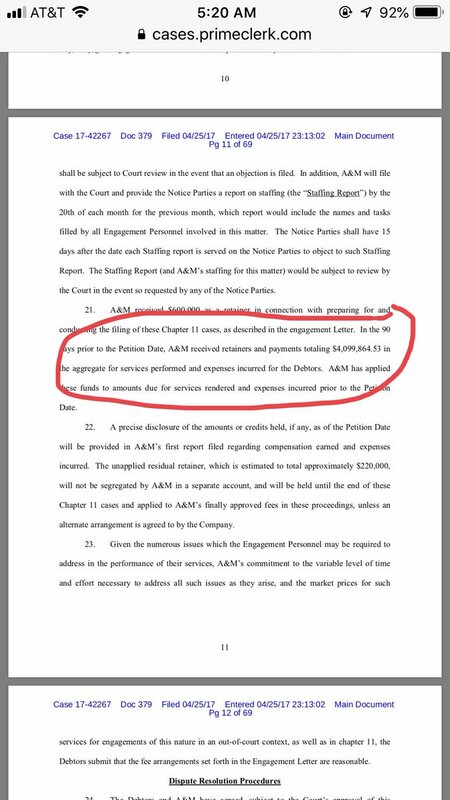 Angelo Gordon Energy Servicer LLC, the company’s pre-petition lender, will provide a $1mm DIP to fund the cases (asset sale proceeds will also apply towards funding the cases). This was the first E&P filing in a while. It won’t be the last. 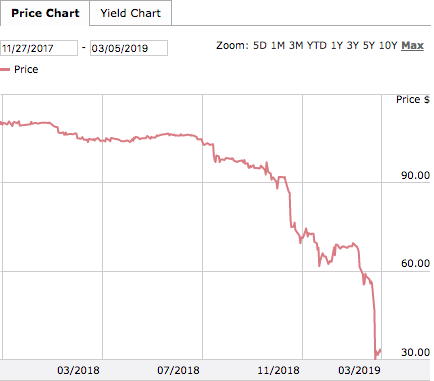 Purdue Pharma Inches Closer to Bankruptcy (Long Opioid-Related BK Activity). 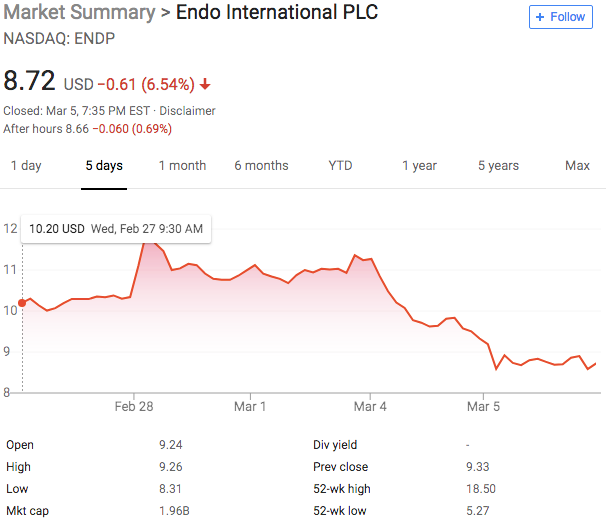 We then wrote about how Purdue Pharma looked like a prime candidate for bankruptcy. The manufacturer of Oxycontin is generating more and more press these days. Earlier this week both Reuters and The Wall Street Journal reported that the pharmaceutical company hired AlixPartners to complement its earlier hire of Davis Polk & Wardwell LLP and is prepping for chapter 11 bankruptcy (PJT Partners is also involved). FA pitches were roughly two weeks ago. The company confronts serious opioid-related liability, besieged all across the country by lawsuits that, for the most part, allege misleading sales practices. This piece — also from earlier this week — notes the company’s tactics in Massachusetts trying to dismiss lawsuits against it. Seems to us that one court with jurisdiction — say, we don’t know, A BANKRUPTCY COURT! — might be the best way to accomplish this (let alone a channeling injunction of all claims). In late 2018, information shared with parties in the multidistrict litigation revealed that Purdue’s assets may not be enough to resolve the company’s potential liability, in part because most of its profits had been regularly transferred to members of the company’s controlling family, the Sacklers, according to people familiar with the matter. Sackler family members still own the company through trusts and for years controlled its board of directors and held senior management positions. This could be a juicy mandate for both an unsecured creditors committee and a tort plaintiffs committee. Let the bankruptcy dollars flow!! 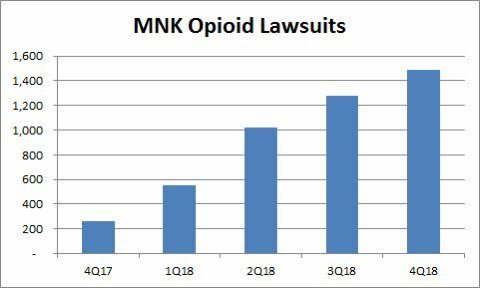 While people are focusing on the possible Purdue Pharma bankruptcy due to opioid legal exposure, don’t forget about opioid pioneer $MNK. Their opioid-related lawsuits quintupled in 2018! Your fee listing from Payless look[s] like estate professionals only. Don’t forget about the litany of RSA parties that got paid their fees including success fees. While we DID drop a footnote acknowledging that we were merely providing a snapshot of the extent of fees in that case, both commenters have fair points.